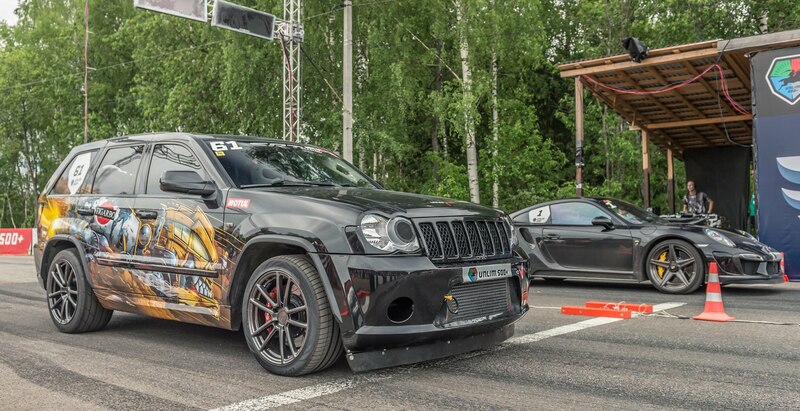 Jeep SRT8 Custom Twin-Turbo Vs Porsche 911 Turbo S! This is probably the fastest brick you have seen in a while. We are talking about the extraordinary SRT8– which has a custom twin turbo setup, that is jamming so much air down the throat of engine it brings the output to 1200 horsepower. In the lane next to him we find a Turbo S 911 Porsche tuned to 650 horsepower. Before you judge this as an unfair race, please remember that the SRT8 weighs 4860 lbs (2204 kg) while the German sports car on the other hands comes in at only 3538 lbs (1650 kg). And the last but not least, remember, the SRT8 is as aerodynamic as a brick so all and all, this should be a fun and very closely matched race. Watch and enjoy. 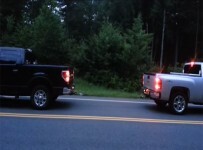 Ford Mustang Mach1 VS Nissan GTR! !